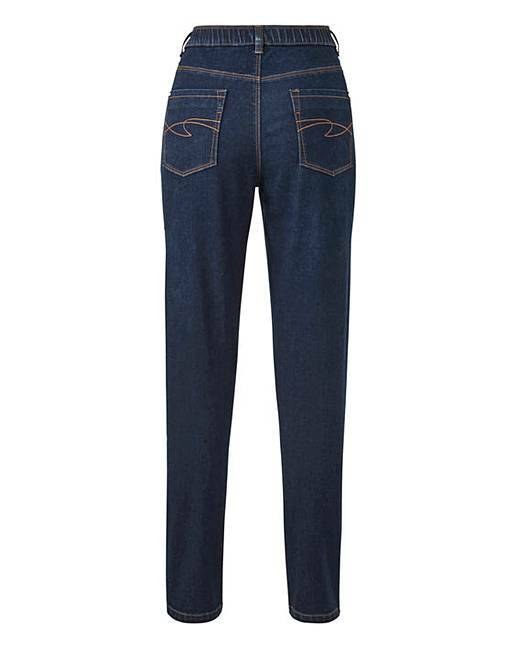 Indigo Everyday Slim Leg Jeans is rated 4.3 out of 5 by 10. 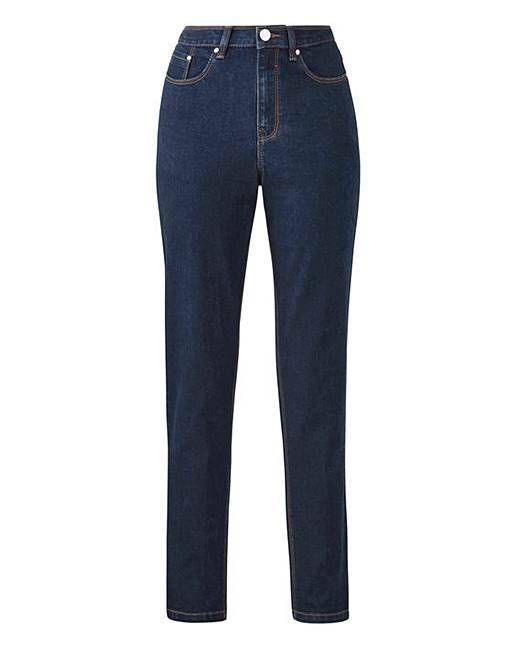 The perfect jeans for everyday, these trusty slim-leg jeans are a must-have style staple in every woman’s wardrobe. Improved this season with a more comfortable stretch denim, a better fit and an elasticated waistband, these jeans look and feel great. Style with a jersey tee and flats or vamp them up with heels and a chic blouse for the evening. Rated 3 out of 5 by Just Mel from Sizing inconsistent I have been buying jeans from this range for several years now, because I found them great value, and the sizing was consistent. However, the last time I bought size !2's, they were much smaller than the ones I was currently wearing. So I bought size 14s, only to find them still tight, but wearable. Then I ordered a couple more pairs in the petite range as I am in between leg lengths. These ones were more like the size of the 12s previously ordered. I find this disappointing after so many years of satisfaction. I do have to say, though that the quality and feel of the denim is very good. Rated 4 out of 5 by Kjdstar3 from Good fit! Great fitting everyday jeans. Smart enough for work but yet nice and comfy! Rated 5 out of 5 by Cazzie18 from Great fit Very good fit wash great very pleased, would order again. Rated 5 out of 5 by Brinco from Lovely fit Very good for the price. Good quality better than would be expected for the price. Rated 1 out of 5 by leanne from Not like picture! Im a size 14/16 pear shape and got these in a 14. When i tried them on they were great. Fitted nice and were comfy. But after a wash they were awful! They have gone baggy and dont fit nice anymore! They look out of shape and i wont wear them out of the house. What a waste of money! are nothing like the picture.